The Edwardian period was greatly influenced by English King, Edward VII (1901-1910) during his reign as the British Monarch. He was a lighthearted, luxury-loving ruler, infamous for his party-ways and gambling addiction. It is believed his ascendance to the throne brought great social change. It was a time of great opulence, where the wealthy upper class enjoyed extravagant, detailed jewelled creations and lived lives of excess. 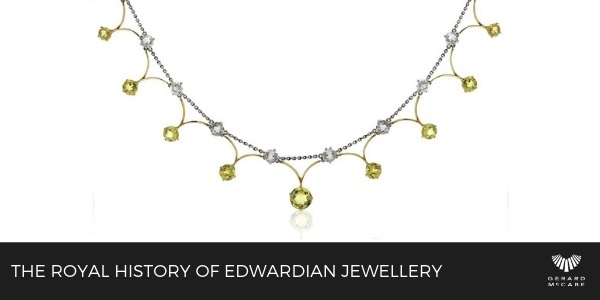 Experts believe that the designs of the Edwardian Era were largely influenced by the eighteenth-century jewellery, with many ornamental motifs and seventeenth-century architecture inspiring many of the pieces. Garlands and ribbons, laurel wreaths, bow knots, tassels and lace were brought to life using platinum and precious gems. Many pieces resembled embroidery and fine, delicate, sophisticated jewels were used to resemble encrusted lace. Monochromatic and white pieces were incredibly popular, with scalloped edges common amongst jewellery of the time. 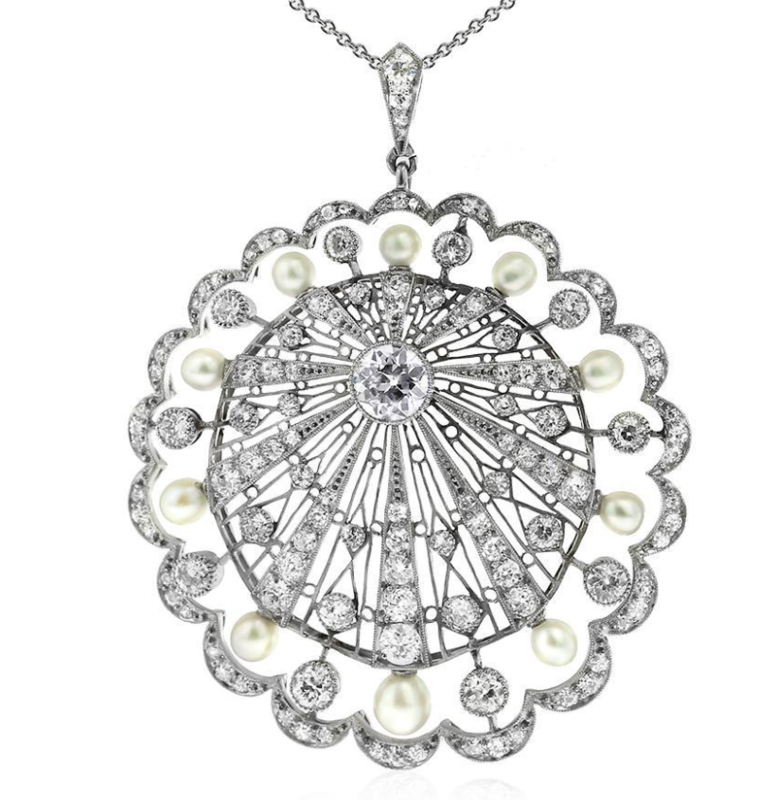 Edwardian jewellery often featured millegraining, allowed artists to create pieces that were indeed softer and lighter in appearance. The delicate fabrics of the haute couture of the time allowed the platinum and diamond creations to complement one another. Favourite motifs were bows, circles, swags and garlands, all in this new delicate style. Many creations were designed to replicate the fluid fabrics of the time, with the lightness and delicacy of each and every piece making them truly breathtaking from every angle. The 1910’s saw women’s necklines change, with little room for pins and brooches. 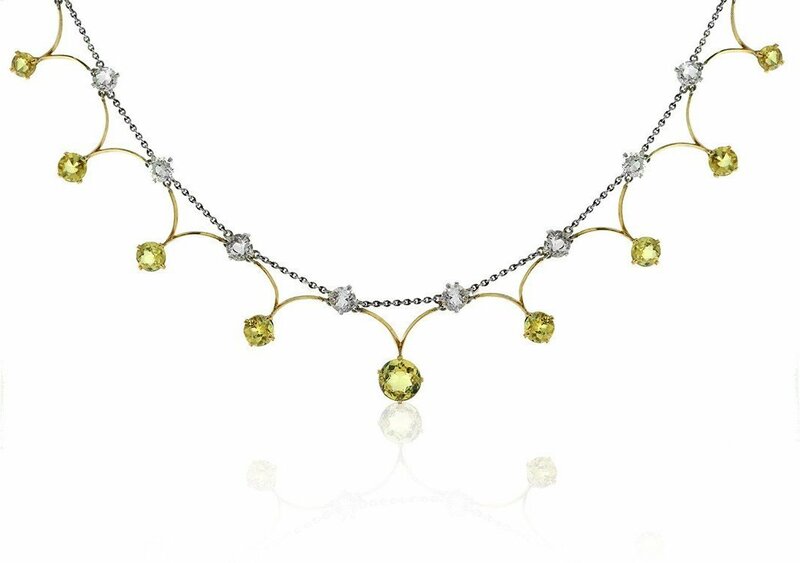 Many saw simple chains, suspending a delicate pendant or gemstone, whilst others were often circular with garland and geometrical motifs. Many women chose to rework long ropes of pearls or beads completed by generously fringed tassels, and wrap in excessive proportions around the neck. Long chains also made a fashionable appearance, with many hair-fine platinum links and pearls, or spectacle-set gems worn full length, past the waist. Earrings also found their dominance in the circles of the upper class, with long glittering creations, featuring miniature garland-style wreaths and articulated centre stones in abundance. 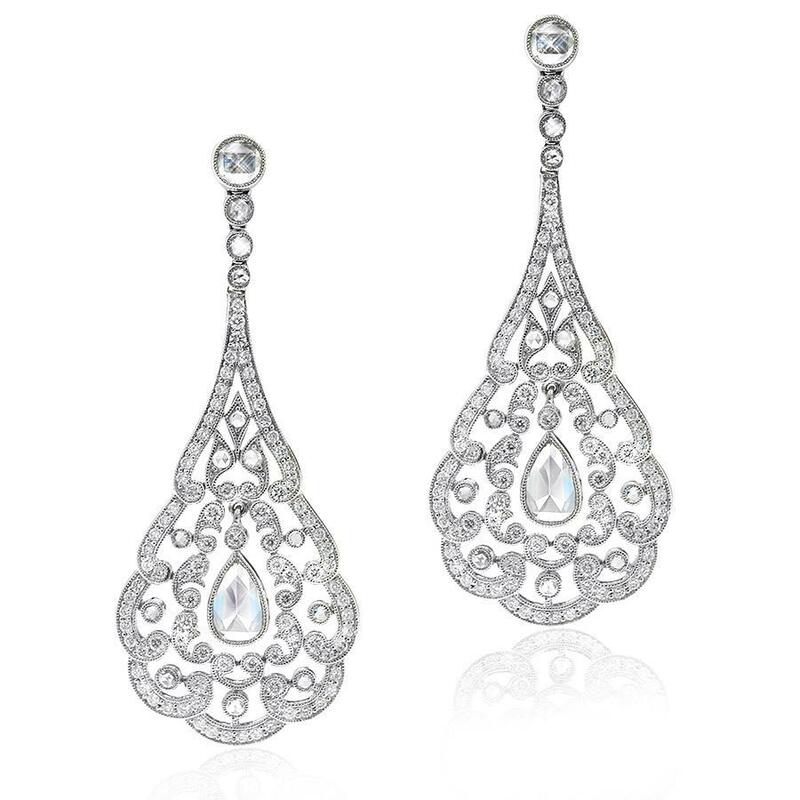 Many elements were present in these creations, including platinum openwork, an array of glistening diamonds and millegraining. Many were designed to ensure that a natural movement and sway was present, to be in keeping with the lighter, flowing garments. Gerard McCabe invites you to visit our Adelaide Arcade boutique, where you can view our entire Antique and Period collection. Our knowledgeable team can talk you through the history of each and every piece, whether it be Edwardian, Art Nouveau or Vintage, there’s a wonderful heritage to all of these ageless creations. Whether you’re looking to better understand the piece you’ve inherited, or you have a burning desire to expand your antique and period collection, we invite you to visit our Adelaide Arcade boutique.